Perhaps you’ve been told that chemotherapy was successful in treating your cancer and that you are now released to live your life. But what happens when the chemotherapy side effects remain with you? Chemo drugs are highly toxic, even at normal therapeutic doses. Brain fog, muscle weakness, neuropathy, loss of energy, malabsorption of nutrients, mood swings, and lack of appetite are only a few common chemotherapy side effects which remain for years or even a lifetime following chemotherapy. The chemical soup in these cancer drug treatments often causes greater physical, psychological, and emotional struggles than the original tumor itself. Detoxifying the body from the toxic accumulation of chemicals it has been burdened with during chemo is essential to recovery. 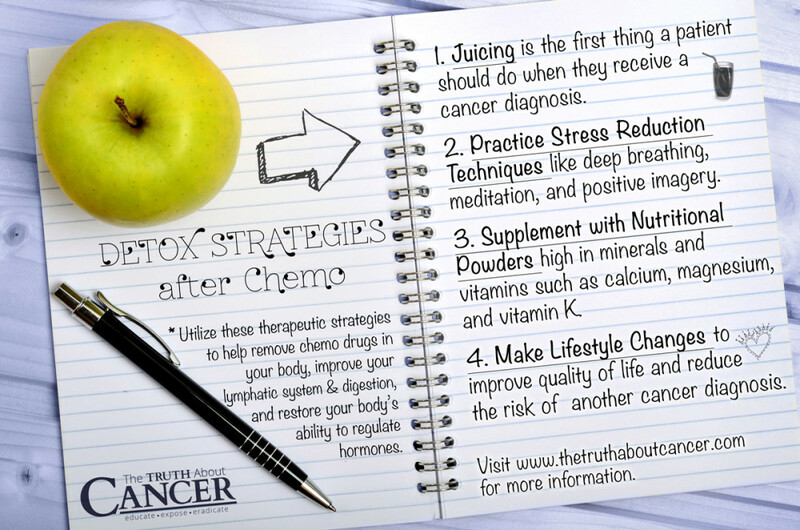 Understanding what chemotherapy does to the body will help you understand why detox is critical. Chemotherapy prevents all cells, malignant and normal, from further proliferating. This means that the healthy cells in the body are destroyed, leading to adverse chemotherapy side effects such as loss of hair, nausea, reduced immunity, male and female sterility, and mouth sores. More serious and life threatening effects may include renal and liver failure, heart disease, and blood clots. According to the American Cancer Society, it is a combination of these damaging consequences to the body which often leads to the occurrence of a secondary cancer. Nitrogen Mustard: The injection site is most susceptible to pain and areas of blood clotting due to this metal-binding chemo compound. Cis-platinum: Known to cause nausea and vomiting starting two hours following treatment. Cis platinum also hinders urination, compromising the removal of toxins. This drug leads to renal (kidney) toxicity. Doxorubicin: This chemo agent leads to heart damage including cardiomyopathy (diseased heart) and is a primary trigger for hair loss. Methotrexate: Known to cause serious, life-threatening side effects such as damage to the lungs, liver, and kidneys. Methotrexate can lower blood cell counts, decreasing the ability to fight infections and interferes with normal blood clotting. Acyclovir: Prescribed to treat herpes, which is common in patients receiving cytotoxic therapies for cancer. This drug can trigger nausea, vomiting, diarrhea, and decreased urination, which may interfere with the effective removal of toxins. In rare cases acyclovir can cause life-threatening damage to the kidneys, resulting in renal failure. Vincristine: Common effects are bone marrow suppression, gastrointestinal disorder, and neurotoxicity and can lead to renal failure. Infections which typically arise from loss of white blood cells are treated with antibiotics. Bleomycin: Significantly associated with toxic accumulation in the lungs. Pulmonary toxicity can be life-threatening and progress to lung fibrosis, making it difficult for the lungs to work properly. Phenothiazines: Relieves symptoms of nausea and vomiting, but causes drowsiness, restlessness, and involuntary movement. These symptoms are then treated with drugs like Benadryl and Cogentin, an anti-tremor medication used in the treatment of Parkinson’s disease. Metoclopramide: Blocks the centers of the brain known as the medulla oblongata to treat nausea. This drug is given to help relieve GI contracts and improve blockage of chemicals from intestines. This drug can cause irreversible movement disorders. Corticosteroids: Synthetic steroids which causes an imbalance in hormones and leads to drowsiness. Generally taken before the start of chemotherapy. Nabilone: Prescribed for GI complications. Leads to disorientation, low blood pressure, and drowsiness. These symptoms are treated with repetitive rounds of multiple drugs causing mood swings, muscle weakness, easy bruising, and much more. Becoming aware of the harm chemotherapy does to your body should lead you to rush to detoxify these pollutants immediately. Alternative medicine and healing strategies can improve the quality of your life and lower the chances that you will be diagnosed with a secondary cancer. Using the following therapeutic strategies will aid in removing all chemo drugs in your body, improve your lymphatic system, improve your digestion, and restore your body’s ability to regulate hormones. Juicing is the first thing a patient should do when they receive a cancer diagnosis. It allows for maximum absorption of a vast amount of nutrients. Following chemotherapy, juicing is an excellent way to supply nutrients to the body for absorption and to begin the healing process. The benefits of juicing range from alkalizing the body to cleansing the colon. Depending on your symptoms, sipping on different anti-inflammatory and chemoprotective tonics throughout the day can treat digestive dysfunction and ease an upset stomach. Try drinking alkalizing lemon water upon waking up and throughout the day. Lemon water stimulates the body to secrete toxins, hydrates cells, and boosts lymphatic circulation. Avoid bottled and unfiltered water sources. Consuming pure and distilled water with zero added contaminants is critical in the recovery from chemo. Researchers suggest that relaxation techniques including deep breathing, meditation, and positive imagery may benefit patients. Relieving anxiety increases the body’s natural ability to defend against real threats such as malignant cells and tissue as well as infection. Soaking in epsom salt baths is an excellent way to pull toxins out through the skin. It also helps the body absorb oxygenating nutrients such as magnesium and sulfates into the muscles and nerves for improved circulation. Nutritional powders should be supplemented into every person’s diet to combat cancer and disease, but should be a priority for recovering chemotherapy patients. Nutritional powders help to balance hormones, regulate metabolism, repair damage to the blood, and rejuvenate the body. Consider powders high in minerals and vitamins such as calcium, magnesium, and vitamin K.
Lifestyle changes following chemotherapy are critical to improve quality of life and reduce the risk of another cancer diagnosis. As an individual begins to flush toxins from the body, the digestive tract may begin to function again. Consuming whole foods rich in organic, fresh leafy greens and organic produce is an excellent way to supplement a continued juicing detox plan. All foods should be free of GMOs, artificial coloring or preservatives, and trans-fats. They should be stored in glass containers. Eating out should be avoided. 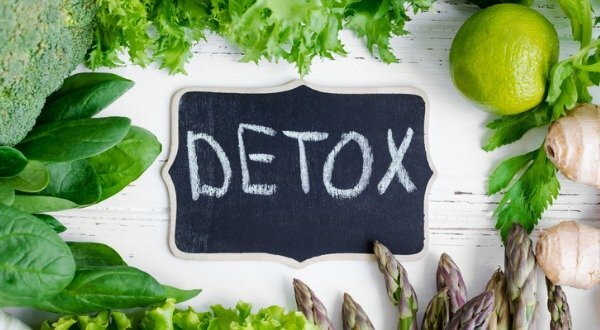 Implementing anti-cancer lifestyle changes will limit the accumulation of contaminants in the body and will increase the effectiveness of detoxification. Chemo drugs are highly toxic. Some of the common side effects which remain for years or even a lifetime following chemotherapy include: brain fog, muscle weakness, neuropathy, loss of energy, malabsorption of nutrients, mood swings, and lack of appetite. Detoxifying the body from the toxic accumulation of chemicals it has been burdened with during chemo is essential to recovery afterwards. Chemo drugs create a broad array of health problems. Unfortunately, the modern treatment for each symptom is another dose of drugs − each with more side effects to be treated. My Husband was diagnosed with Idiopathic pulmonary fibrosis 5 years ago and was on minimum daily dosage prednisone (7.5 mg), azathioprine and N-Acetyl. They put him on 6 liters of oxygen and steroids to slow down progression. His symptoms have always been shortness of breath, and coughing badly. the prednisone wasn’t really working and he could not tolerate them for long due to severe side effects, There has been little if any progress in finding a cure or reliable treatment. So this year his primary physician suggested we started him on Natural Herbal Gardens Idiopathic Pulmonary Fibrosis Herbal formula which eased his anxiety a bit,, We ordered their IPF herbal treatment after reading alot of positive reviews, i am happy to report with the help of Natural Herbal Garden natural herbs we have been able to reverse my husband symptoms using herbs, his symptoms totally declined over a 9 weeks use of the Natural Herbal Gardens IPF natural herbal formula. His Idiopathic pulmonary fibrosis is totally reversed! I had stage 4 non Hodgkin Lymphoma. I received 6 treatments of Chemo and in remission now. It has been 1year and 4 months sense my last treatment. My question is about once a week I have days of nausea and feel shaky extremely tired. That is about the same way I felt after receiving chemo. Is this still from my treatment and how long should this last? Wishing you all the best and sending healing vibes your way! Hello. I have stage one breast cancer. But aggressive cancer cells. Triple negative. My doctor is doing a lumpectomy with radiation. I had an appointment with the oncologist and she scared the hell out of me. She said that I need chemo, the harshest of all. I will lose my hair and be very sick. I am confused as to why I would need chemo. I worry about what that will do to the good cells in my body. The radiation doctor told me that we would do whole breast radiation. 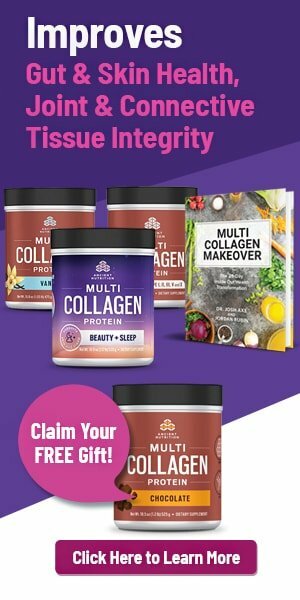 My question is: How do I protect my body (good cells) from this treatments? Is there anything that I can take before the chemo and radiation? Can I do the detox at the same time as treatment? Chemotherapy is generally not recommended for people who have breast cancer that is “only” in stages 1 and 2, so I am surprised they are telling you this. 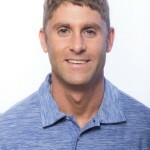 In addition, chrisbeatcancer.com has an article posted about how chemo is not recommended for early stage breast cancer. You can probably find this article on the Internet somewhere. I had colon cancer stage 3 and had 6 chemo treatments . The doctor wanted to do 6 weeks of radiation and i refused. I told him God going to do His part. My fingers and fee are still suffering the most. My fingers even stick to some things :(. Nothing works for the pain and the pain if I touch cold items. I use a pot holder to get items out of the refrigeration. I been craving mostly water and fruit most days. Im praying this will go away soon. Its been 4 months since my last chemo treatment. I am trusting God to heal these side effects soon. He has been great to have me still here. By now I am sure that you have undergone treatments of some nature. I am (in general) a homeopathic & naturist. However, there is a time when Western treatment is necessary. Toying around with tinctures & supplements can harm you more & can allow the cancer to spread, everyday. I hope that you have trust within your medical team & have made the best decisions for your personal quest w/cancer. I too, am currently undergoing radiation after I had four months of radical chemo & surgery. I had triple negative, invasive, ductal carcinoma breast cancer survivor. Last report: I’m cancer free! Although I’m not a doctor, I took turkey tail mushrooms in the form of capsules when I underwent radiation and chemo therapy for stage one: colon cancer. I had looked up info on this from a Ted talk by Paul Stamets on YouTube: His elderly mother had had stage 4 breast cancer andt had been given only a few months to live. She added turkey tail mushrooms in capsules to her treatment and all the cancer was totally gone within four or five months. In my own experience it was the best thing I did to take turkey tail mushrooms and I am cancer free. You can also check out fungiperfecti.com or hostdefense.com. I hope this is helpful for you. TNBC is different than hormonal cancers. We need chemo because they are treating the whole body not just the breast. Don’t listen to treatment that others have had for hormonal based cancer. We don’t have that kind of cancer. Unfortunately those meds don’t work for us. Join a support group for TNBC. Other groups don’t apply to us. If doctors had other ways to treat our cancer they would. I would have preferred radiation and lumpectomy and taken meds after to help prevent recurrence. Those meds don’t exist yet. Recurrence for our kind of cancer shows up in other parts of our bodies. Only way to prevent that is chemo. Treating the cancer like it already spread even at stage one unfortunately. 85 percent of breast cancers is not the kind we have. Don’t take advice from them because they don’t know or understand. Most drs aren’t experts in it either. Breast cancer unfortunately is common. What we have is rare and not common. Find the best doctors you can get your hands on that are familiar with TNBC. Our prognosis is not the same as hormone positive breast cancer. This is a different animal. My ten year old grandson was recently diagnosed with brain cancer. they haven’t started treatment yet but I am wondering is detoxing during chemo advisable or should it wait until after treatment is complete?? I’m so sorry to hear about your grandson – I’ll be sure to pray for him. It’s best if you consult with a health practitioner to ask about your specific cancer and the treatment you’re currently doing and do a detox based on that. The best advice we can give you is to consult with one of the doctors we interviewed in the Global series. Wishing you many blessings, love, and complete healing!